YOUR WEDDING. The Start of a Long Term Relationship. Other than how beautiful the bride looks – what do people most talk about at a wedding? The food. And it is our sincere desire that they will be talking about our food as much as how beautiful the bride looks. Aside from the ceremony – the ambiance and food at a wedding are the two things that the guests will remember for years to come. And at Dads Catering , we strive to exceed expectation. 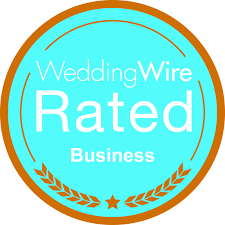 With over 40 years of experience catering Phoenix area weddings (as well as some personal weddings for the family), we understand the ins and outs of your special day and are dedicated to making it spectacular. We cater to a host of different wedding scenarios, casual or formal, and work very hard to serve a menu that reflects you. We look forward to meeting with you to discuss your special day. With over 40 years of experience in the Valley of the Sun, we have relationships will all the major wedding vendors and rental agencies and can customize a package to meet your budget and your creative imagination.